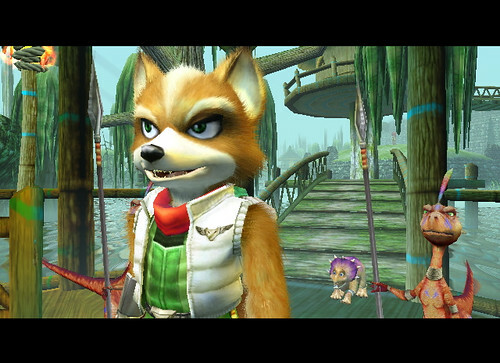 Star Fox Adventures is a game that I first heard about in the Australian Official Nintendo Magazine (remember when we used to get our gaming news from magazines?) around the year 2000. 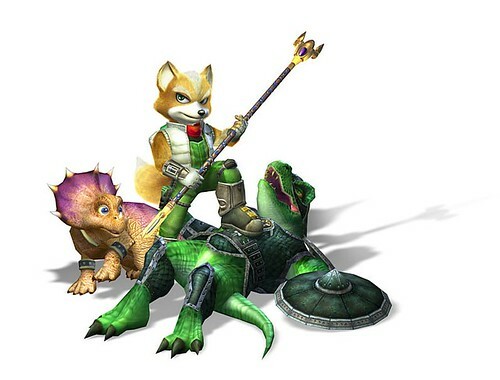 Back then it was called Dinosaur Planet and it was going to be about these two anthropomorphic animals saving a world of dinosaurs in a big, Zelda-style adventure game. I was pretty excited because it was also going to be on the Nintendo 64, a console that I owned. 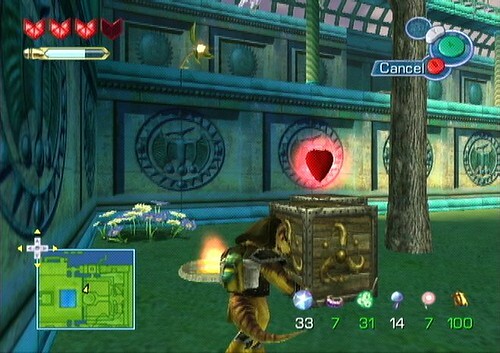 But then the game was pushed back to be released on the GameCube and I parted ways with Nintendo so that I could buy an Xbox and play Oddworld: Munch’s Oddysee. Now, years later, I finally have the chance to play this game I missed out on so long ago and discover if all that youthful excitement was justified. 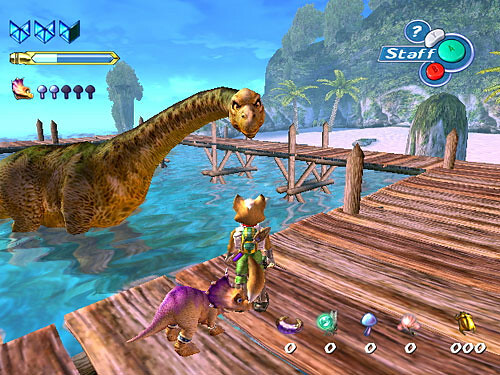 The first thing to note is that the game isn’t called Dinosaur Planet, it’s called Star Fox Adventures. 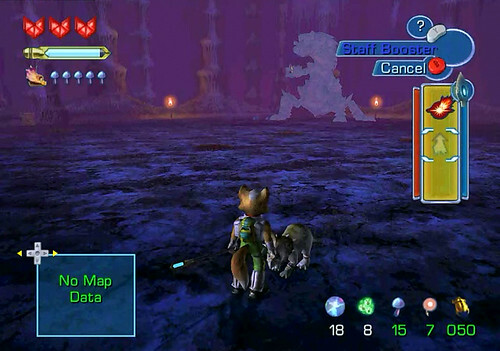 At some point during development the game went from being an original IP (intellectual property) with a new story and setting to something set in the Star Fox series. 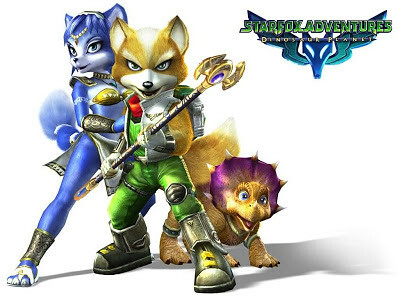 I can see why they would want to make this a Star Fox game. Making games is expensive and any game you release is more likely to be successful if consumers can link it to another game they already like. 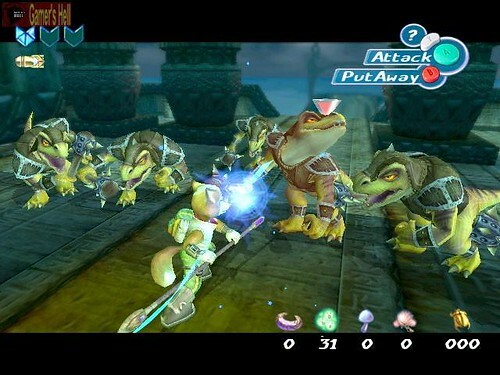 The problem is that Dinosaur Planet is a game about talking dinosaurs, magic, and using insects as currency and the Star Fox games are about spaceships, lasers and robots. 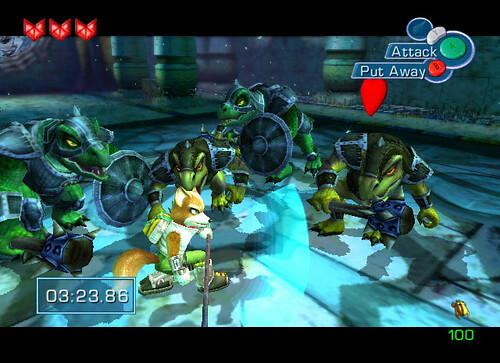 Taking the Star Fox characters and just dropping them in this radically different setting doesn’t really work. 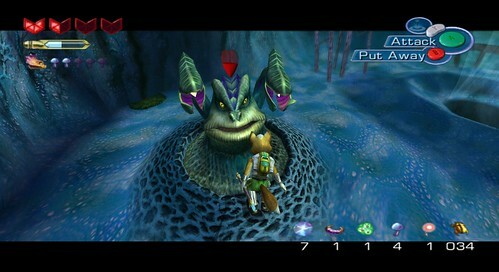 Star Fox Adventures is a game with a lot of clear influence from The Legend of Zelda: The Ocarina of Time. It uses the same basic 3rd-person exploration and combat systems (complete with auto-lock when in combat with enemies), but sadly it never quite captures the smoothness that Zelda had. Combat starts off feeling clunky and boring and it never manages to break away from that. Enemies take just enough hits to kill that I would inwardly sigh every time I had to fight something which is frequent as the game likes to re-spawn enemies as soon as your back is turned for even the briefest of moments. For me, this whole game is symbolised by Tricky. Tricky is a young dinosaur that follows you around like a…well, he’s basically a dog in dinosaur form. You use him to find secret passages, dig up hidden items and breath fire to melt obstacles in your path (Yes, the dinosaur breaths fire. No, I don’t know why). It’s a neat idea for a game mechanic and I actually quite enjoyed it. Instead of having the player load up on various items to do all these tasks; you have a companion with you that, because he is with you at all times, you are able to form a real bond with. The best decision they made when implementing Tricky is that he will almost always just teleport to where you are after a short period of time. You never have to wait for him to catch up. He also has no health and thus can’t die in combat. They really have tried to remove any frustration from using Tricky. Unfortunately all of the good will I feel towards Tricky falls apart the second he opens his mouth. This is because Tricky, like literally every other character in this game, has some of the worst voice acting I have ever heard. It is genuinely awful and I seriously believe that all of the acting was done by however was hanging around outside the studio that day. You guys want to know how bad that voice acting is? Slippy sounds worse than he did in Lylat Wars. I would not have thought that possible. This is a game that is so close to being good. If they’d just hired some real voice actors, tweaked the combat system a bit, and tightened up some of the level layouts…but alas, it was not so. What we actually have is a game that is ok at best. Not good, not bad, certainly not terrible. Merely…ok. While I certainly wouldn’t tell anyone to avoid this game, I also can’t recommend you go out of your way to play it. Ultimately it is just another adventure game in an era of adventure games. Better than some, worse than others, and sadly not the classic we could have had. James has been playing games since he got a NES on his fifth birthday but he didn't become a gamer until he a) got a SNES some years later and b) discovered that the local video store had hundreds of games available for rental. His greatest regret is pawning off those two consoles when he was much younger and less bright.